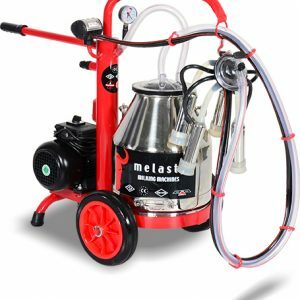 Melasty, single cow milking machine, portable, electric time saving and friendly to use 6 gallon bucket with maintenance box included! 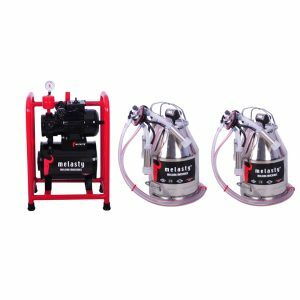 Mitty Supply is a company that provides small to medium-sized dairy farms with portable milking equipment at highly competitive prices. 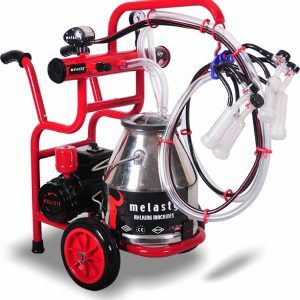 With our inventory from top brands, including Melasty, we provide both cow and goat milking parts and portable milking machines to our customers. Check out our portable cow and goat milking equipment today! Used in both cow and goat milking, our portable milking equipment comes with an array of benefits for the dairy farm. These include saving both time and money due to the productivity power of portable milking machines. Worried about the shipping costs that comes with ordering a part or an entire new piece of our goat or cow milking equipment? Don’t be! For your convenience, we offer FREE SHIPPING via USPS First Class. Don’t forget to browse Mitty Lawn and Garden’s selection of carburetors, combos, and repair kits. Our products come from reputable names in the industry, such as Zama, Walbro, and Tillotson. * If you need our help on a weekend, submit your request on the contact form and we will get back to you on Monday. Get instant updates when items go on sale or our inventory is updated!